Ella doesn’t go back to school until tomorrow so we’ve decided to make a Halloween themed dinner for everyone tonight. We’re making tuna monster rolls with tins of tuna we were sent from Princes. Ella’s a huge fan of tuna and Halloween so these are perfect for her! For those who don’t like tuna (Kaycee!) we’re making hot dog mummies, serving Monster Munch crisps as well as pizza, zombie juice, and Halloween cakes. Split the bread rolls in two, without cutting all the way through. Spread with butter and top with lettuce leaves. 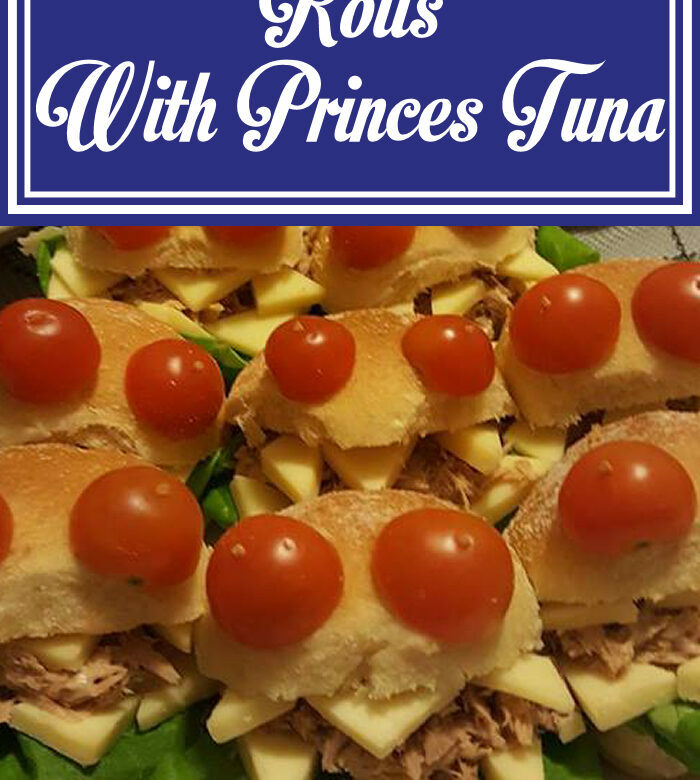 Mix the Princes Sandwich Tuna with the yogurt and share between the rolls. Cut each cheese slice in half with a zig-zag edge — just use a sharp knife or scissors to do this. Arrange in the rolls. Position the cherry tomatoes on the rolls to resemble ‘eyes’. We cut the tomatoes in half and stuck half a cocktail stick through them to secure them. You can top the rolls with salad cress or grated carrot to look like ‘hair’. Serve at once. Finally, the last day of October…Happy Halloween! Gratisfaction UK – Grab some freebies!